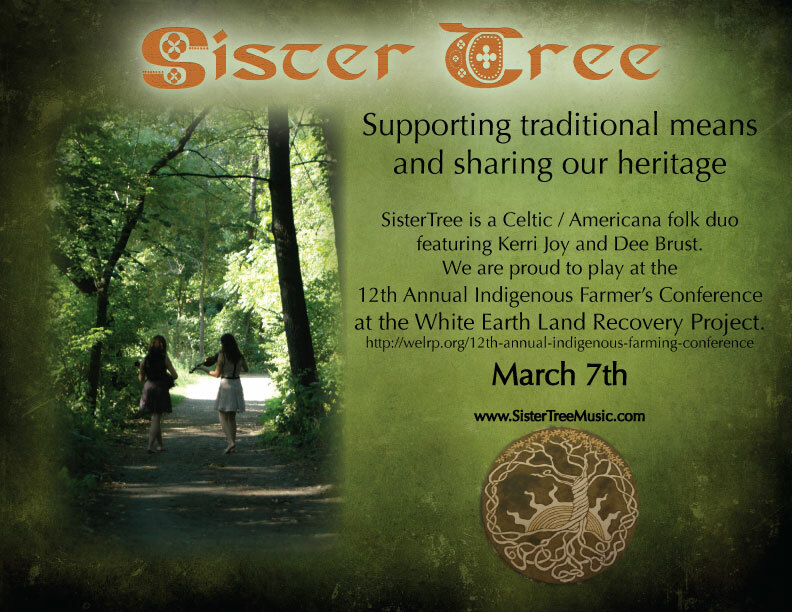 SisterTree will be be up North for the weekend of March 6th and 7th. We will perform at the Larsmont Cottages on the Lake for their wine and cheese hour on Friday the 6th, followed by an evening at Sir Benedict’s Tavern on the Lake. On Saturday the 7th, we are very honored to perform for the White Earth Land Recovery Project’s 12th Annual Indigenous Farmer’s Conference.